Origin we found the perfect conditions to host our Origine project in Sicily, between the Valley of the Temples (province of Agrigento) and Marsala. Here I found some old, small tree vines which had achieved a perfect balance with the environment, so that no chemical fertilization had ever been used. We chose Grillo and Zibibbo, the grapes that are traditionally used in this area, to produce long ageing wines, then ancient vats that are half buried into the soil and old casks previously used for refining Marsala wines. with peculiar Mediterranean and balsamic notes of mint, rosemary and wild herbs, the honey flavour emitted from the dried zibibbo grapes is mixed with oxidative notes resulting from the maturation in the amphora. 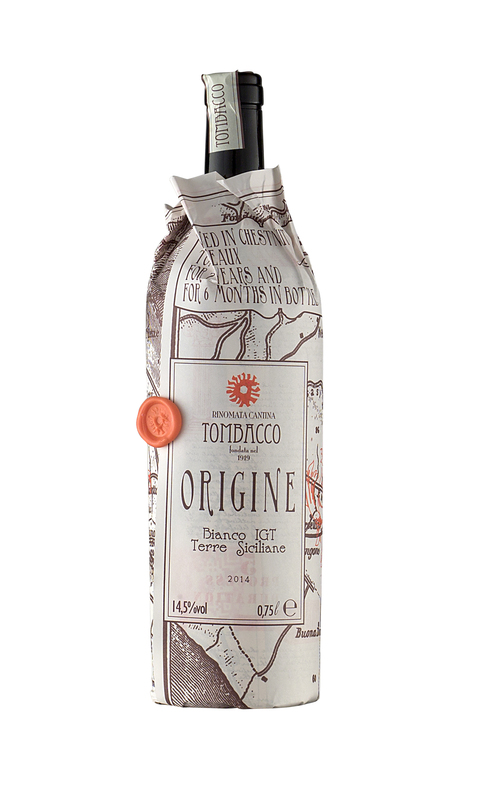 hints of dehydrated fruits (apricot) tamarind, a light vanilla note, raw sugar and aged tobacco. There is a persistent aftertaste. wine that lends itself to gastronomic experiments: try it with goat’s milk cheese and pecorino cheese; with Asian ethnic food, like an Indonesian Kambing Guling or a Lamb Biryani; it is also excellent with eggs and asparagus or courgettes; as a dessert wine it pairs well with apple strudel or almond paste desserts.